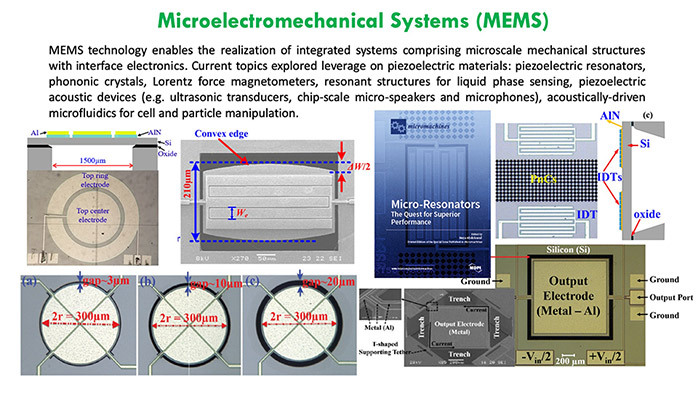 The applications of electronics have expanded dramatically since the invention of the transistor. 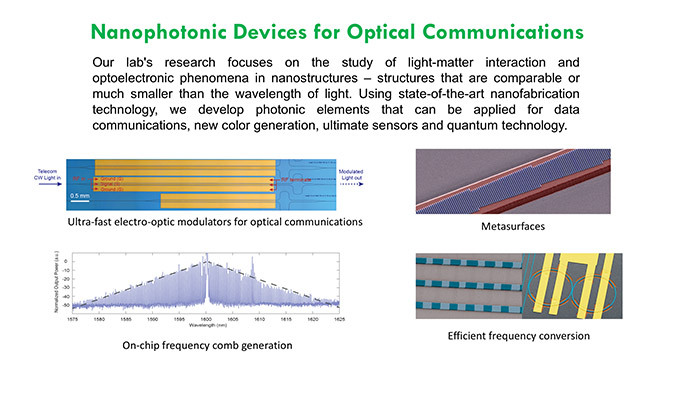 Similarly, the unique applications of photonics continue to emerge, from everyday life to the most advanced science. 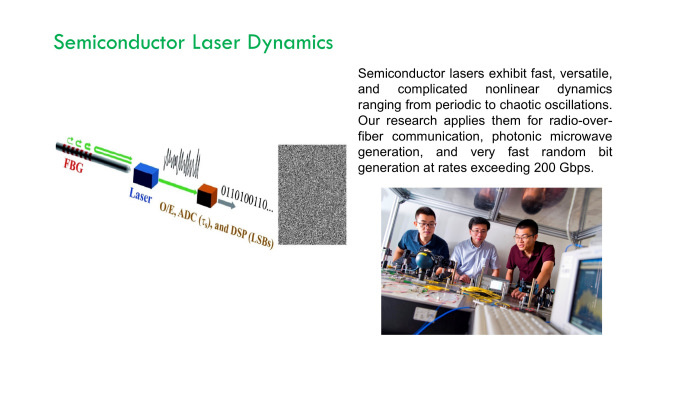 Electronic and photonic devices have enabled breakthroughs in all branches of EE, therein lies the strength of the interdisciplinary nature of electronics and photonics, and the tremendous opportunities it opens. 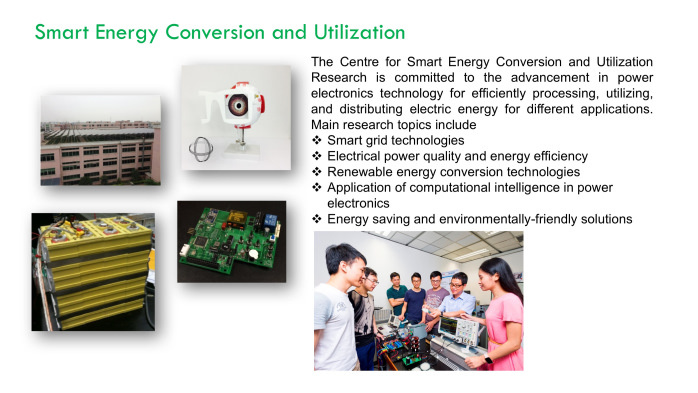 Our team focuses on the design and realization of novel devices using advanced material, micro and nanoscale technologies. 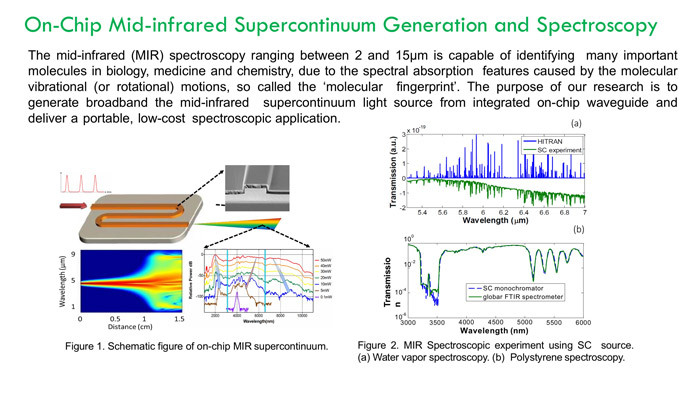 The realization of device down to the nanoscale enables unique properties to be achieved. 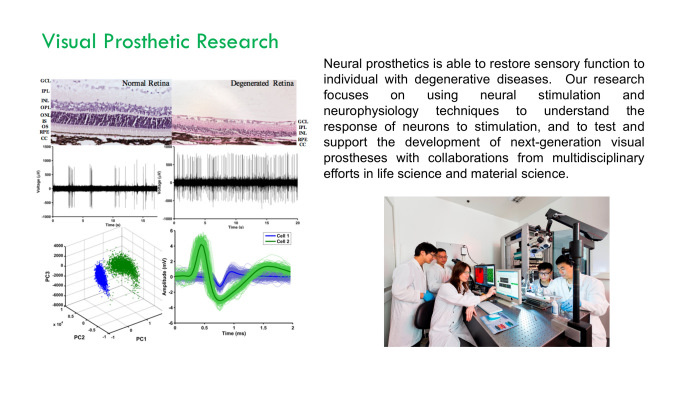 Applications range from information technology and telecommunications, optical sensing, imaging, energy efficiency in smart grid, to biophotonics - health care and life sciences, and improving the quality of life using neural implants. 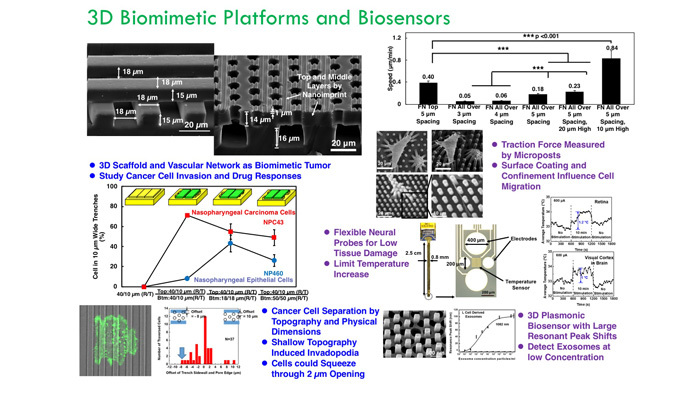 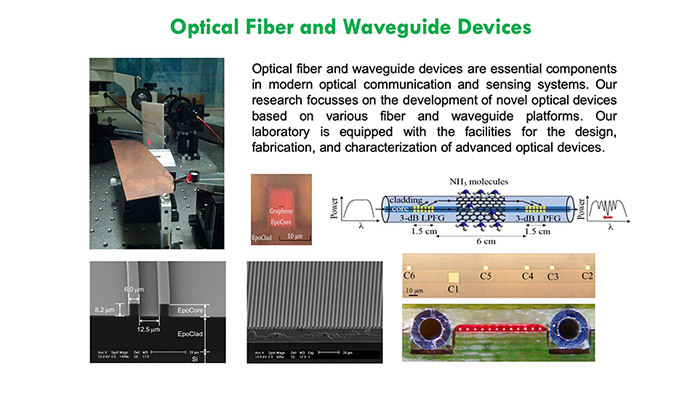 The team is devoted to the research on: fiber and integrated optics; plasmonics/metasurfaces; semiconductor lasers; nanophotonics; nanomaterials; nanofabrication; micro-electromechanical systems (MEMS); biomedical sensors and microsystems; neural implants and prosthesis; holography; power electronics; smart grids; electronic product reliability; and computational neurosciences.